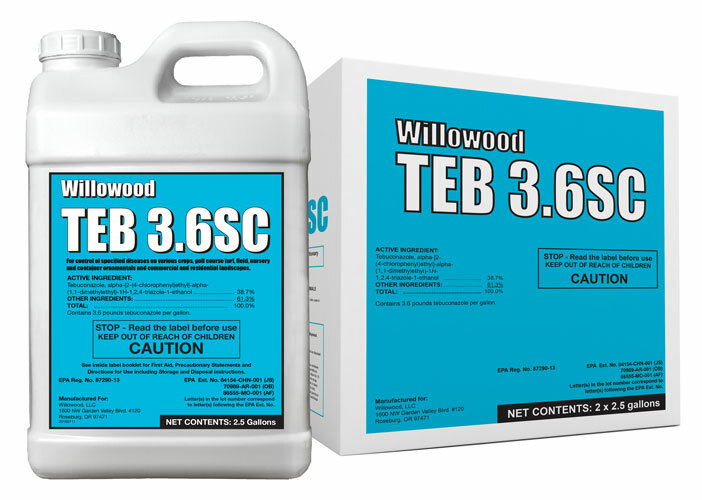 Willowood Teb 3.6SC is a fungicide used on a wide range of diseases that attack asparagus, barley, beans, corn, cotton, grapes, grasses grown for seed and many other vegetables and fruit crop diseases. It works very well on rusts, powdery mildew and other diseases. Contains 3.6 pounds tebuconazole per gallon. FOLICUR® is a registered trademark of BayerCropScience.